If your company asked you to relocate to another state, would you do it? Maybe you would consider it since you found your way to this article. Taking up roots and moving to a different part of the country is definitely a personal decision. Plus, everyone’s situation is different. Some are young and some are older. Some have kids and others don’t. You may look at relocating 1000 miles away as an adventure or you may love where you are, keeping your feet firmly planted. Whatever the case may be, if you have to go, there’s going to be some planning involved. One of the biggest concerns has to do with housing because, well, you have to live somewhere, right? Are you going to rent? How about buying a home? With the power of the internet and through the assistance of local professionals you can gather a ton of information to help make your decisions a little easier. Here are some ideas that may be familiar to you but possibly there are some that you’ve never thought of before. 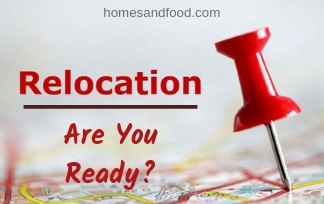 There’s no doubt that relocating to a new area is a daunting task. Are you not sure where to begin? Here’s a list of 19 recommendations to examine before you make an offer on your new home. Relocating to a new area is hard enough as it is but determining upfront what you can afford for housing will make everything a little easier. Everyone has a different situation and everything is relative. You may be moving from a state where a 2,500 square foot home cost $750,000 and into a state where are similar home costs $250,000. Of course, your situation could be just the opposite. That’s why it’s so important to establish a budget, check into home prices, and do your homework. 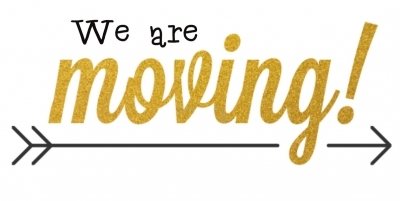 Do You Know Anyone in the Area Where You’re Moving? This is a no-brainer but start thinking about anyone with a pulse who lives in or around the area you’re relocating to. (Yes, I hate ending a sentence with a preposition too but I can’t stop myself) If no one comes to mind, using social media is just a few keystrokes away from obtaining a load of helpful information. There are plenty of community pages on Facebook (for instance) that you could join in order to tap into the folks who are already living where you’re going. People love to give their opinions so you shouldn’t have any problem getting some useful information. I find that total strangers are usually eager to offer advice on things like homes, commute times, crime, and recreational activities. No, I’m not talking about neighbors walking around at 10 pm with flashlights. If you have already pinpointed what city you’re relocating to, you should be able to gather more information about particular neighborhoods. In my research, googling a county or a city will basically give you demographics, economic factors, crimes, and school information. This is helpful but if you dig a little deeper, you should be able identify neighborhoods that stand out among others in the area. Let’s say your moving to Gulf Shores (my area), for example. 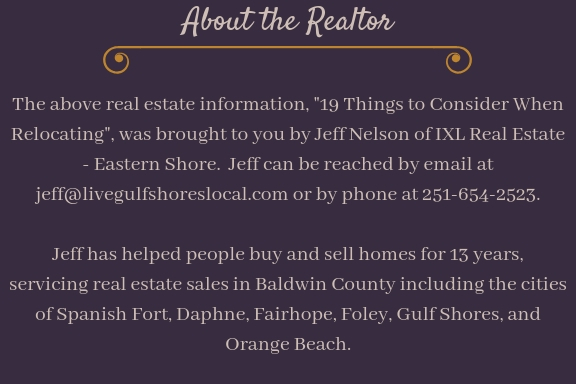 You could ask what are some of the most popular neighborhoods in Gulf Shores. Most areas with any kind of population growth will have some Realtor who has spent hours describing neighborhoods that are in demand. Another great resource is Google Maps. You can zoom in on a city to examine which areas are more populated. You can turn on the satellite view to get a great bird’s eye view of a neighborhood. Take it a little further by clicking on the little yellow man figure in the bottom right for a street view. Pretty cool, isn’t it? The internet is great! Another way to investigate potential neighborhoods is to Google local town sites or blogs. Within seconds you should be able to be more informed than you were this morning. What does a typical 3 bedroom home rent for in your new area? How well do the school systems rank? What are home prices like? What areas are less expensive than others? How large is the average house? What is a typical price per square foot? Getting this information can feel a little overwhelming at first but trust me, there are plenty of Realtors who would love to help you in every part of the country. Start doing some research and choose “local” sites with agents who spend a great amount of time on their real estate website. These agents put a lot of time putting useful information out to the public which also makes them more knowledgeable in the process. For instance, every month I publish an extensive real estate market report for our entire county. A person who is relocating into our area could take this information and have a full grasp of the market conditions for the area. Local real estate specialist will have an intimate knowledge about the areas that they service so when you find a neighborhood that looks good, ask them these questions…. Is this area in a buyer’s or seller’s market? Can you send me comparable sales for this neighborhood? What is the average price per square foot for this neighborhood? How long have these homes been on the market? What is the average listing to selling price ratio? Most Realtors around the country will have some sort of system that they use to create a saved search using your specific criteria. No matter if you’re wanting to rent or buy a home, an agent can set you up to get notified whenever new listings come on the market that meet your needs. This, of course, means that you’ll have to get to know a Realtor to discuss your plans to relocate. They then can create an account using your specifics like maximum price, number of bedrooms, neighborhoods, cities, schools, etc. This valuable information will be perfect to let you see in real time what is on the market. It’s also beneficial because you won’t have to physically type your criteria into some real estate portal every time you want to look at homes online. Here’s a screenshot of the system that I use for clients. Agents around the country will have various different formats but all of them will provide useful information. You can see with this system, you’re able to get quite a bit of detail plus you’re able to make a listing a favorite, delete the listing, and share it with others. Word of advice: Get connected with a local Realtor with a local website. 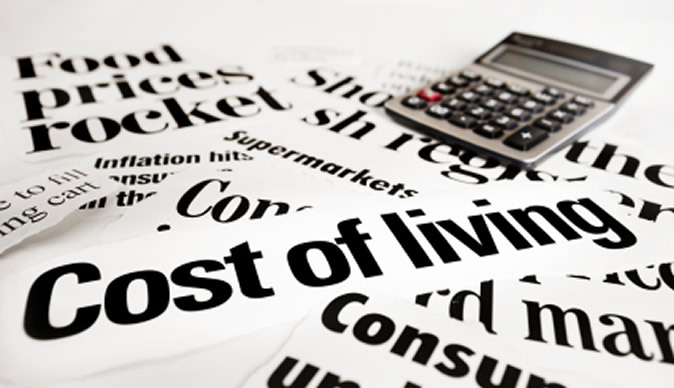 While I’m sure you can find more, here are a couple of websites that can help you calculate the cost of living for certain areas around the country. Unfortunately there is some level of crime everywhere but at least you’re able to find the extent of it for the area where you’re relocating. When you’re doing your research, look at the whole picture. Areas of a city or the county may have higher crime levels than others. You’ll also find that these areas often have lower real estate prices as well. Living with any level of crime is a taste sensitive subject and you’ll have to decide what you are comfortable with for the long run. The good news is, you will be able to find information about crime in just about every area of the country. There are plenty of online resources for this so do your due diligence. There are 3 major considerations (for the most part) when buying a new home whether you’re moving across town or relocating from across the country. They are the physical aspects of the home, the neighborhood, and the school system. If you have children this is an obvious consideration. However, home buyers who do not have children should also consider the local schools. Here’s why. Smart buyers will not only choose a property based on their needs but they will also think about the re-sale value “down the road”. It’s a proven fact that homes that are in a desirable school system bring higher home values in the future. Keep this in mind while you’re doing your research. There are some real good websites like GreatSchools.org who rank schools across the country. in a laid back coastal part of town? near the hustle and bustle of all the action? close to live music venues? situated in a rural setting? surrounded by culture and art? You may or may not be forced to relocate to another part of the country but you do get a choice of where you’re going to live when you get there. What Are the Opportunities for Work? Yes, most relocation is due to a job transfer or promotion but you should always be thinking about the future. If you are relocating with your company, you already have a job. However, do you see yourself there forever? How is the job market in your field? What is the likelihood of future job growth for the new area? While analyzing your own skill set, does the new area attract new businesses and industry? Can you find ways to advance your financial status with current or new developments? Just one more thing to think about. Salary often goes hand in hand with cost of living. So, the salary of an office administrator in Mobile, AL will more than likely be much lower than that of an office administrator in New York City. In parts of the country where you won’t have to spend a lot of money on every day living, you probably will get paid less than those who pay $6 a gallon for gas. Spend some time comparing the salary for your field of expertise in the new local market to those nationwide. Well it can’t be all work with no play! Think about the attributes of a community that would be important to you when you’re not at your job. What is there to do when you just want to take your mind off of work? 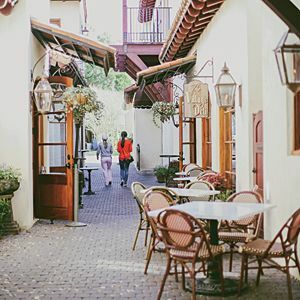 Can you walk to the local coffee house? Do you have to drive 20 minutes to get a loaf of bread? Are there any biking/hiking trails? How many restaurants are close by? What’s the infrastructure like? How’s the traffic? 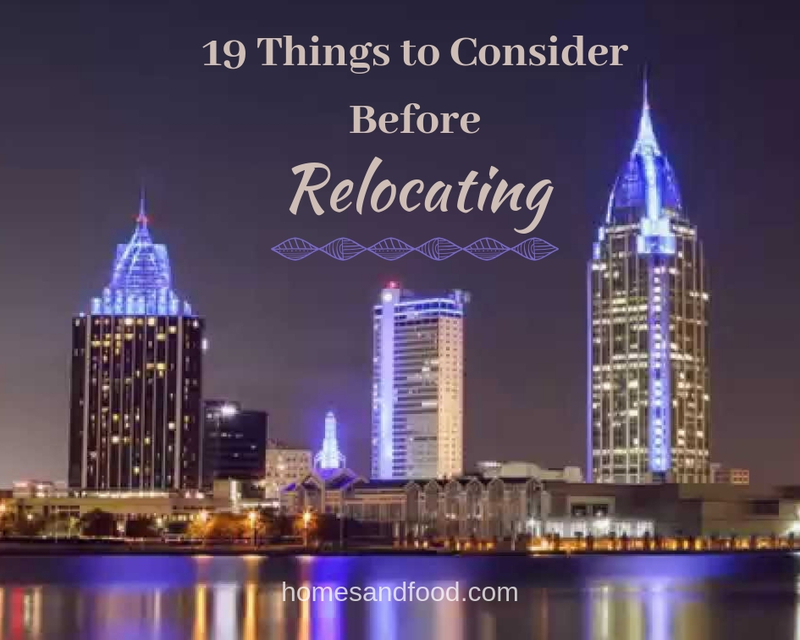 You probably won’t have an option of the general location for where you’re moving but you can choose a neighborhood that will put you into close proximity of the “extra” things that you love. Yelp and TripAdvisor are good resources for this. Here’s a great resource that many home buyers don’t think about utilizing. While not all businesses join the Chamber, many do and you should be able to get a good snapshot of the community. Many home builders also join which could give you more insight on what new neighborhoods are being developed in the area. The Chamber of Commerce is yet another avenue that can help you feel more comfortable when relocating. For the few who are not familiar with social media lingo, a hashtag(#) is usually found in the middle of a post through various platforms. If, for instance, you were relocating to Spanish Fort, you could go to your favorite platform, be it Instagram, Twitter, etc, type in #spanishfort, and you would get a list of other posts that also had #spanishfort. Doing this could actually bring a wealth of knowledge about the city and things to do. Give it a try! We really don’t see many physical newspapers anymore but most medium to large cities do have an online version that you can access as quick as you can Google it. Checking out the local newspaper will be valuable for learning about the community, local politics (ugh), and what’s for sale. Yes, classifieds still exist. You can also get a feel for how your future community feels about sports (Roll Tide) and it’s Lifestyle section will give you clues on how residents spend their time on the weekends. If you know you’re relocating for sure, you probably already know where your new office will be located. Since absolutely no one loves traffic, it’s a great idea to do more research on traffic conditions in the area. Yes, you can also find this online as well. Traffic cams are a good source and can usually be found in most big areas with major interstates. There’s also a great app for your phone called Waze. This is a great tool for putting in your starting point and your destination to find out how long it will take to get from a potential neighborhood to work. Studying traffic patterns in your new area will also help you make a more informed decision in buying a new home in a new area. Who orders and pays for inspections once you go under contract? Does the seller pay for the buyer’s title insurance? Is it mandatory for the seller to produce a “Seller’s Disclosure”? Is it required to disclose any Home Owner’s Association documents? Is it typical to order a survey of the property? You have a lot on your plate from the mere thought of relocating across country. Plus, the idea of trying to find a place to live without actually being there is gut-wrenching. Well, with the power of the internet and technology you really can do everything remotely. Be warned – What I’m about to say may give you the heebie-geebies. I have had numerous buyers who never saw their new home in person until after closing. Huh? Yep, it’s true. Using tools like Facetime or Skype, I can walk through a property with the buyer on the other end of the line and tour the home. We can get just as detailed in the “showing” as if they were there in person. What about closing? Nope, you don’t have to be there at the local title company to close on your new home. All of the documents can be sent overnight, you sign them in front of a notary, and then overnight them back to the title company. Although you might feel a little queezy about buying and closing on a home without seeing it in person, it happens a lot more than you think. Yes, you’ve seen a sprinkle of mentions about using a Realtor throughout this article but they are a fantastic resource. As you do your research, find an agent who is seasoned in real estate and knows the local area like the back of their hand. If you think about it, there’s no other profession who know the community like a busy Realtor does. They already know what the best schools are and which neighborhood has the best amenities. They are familiar with commute times and know what the real estate conditions are. You know what the best part is? Because you are a home buyer, you get to use all of their knowledge and expertise for free. We get paid by the seller but have an obligation to look after the best interests of the buyer. Thank you for reading this War and Peace version of Things to Consider When Relocating. I hope that you found something of value.